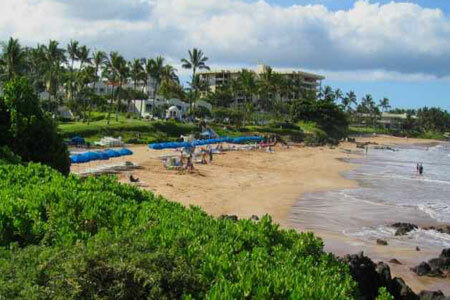 The Polo Beach Club is an exclusive condo community located on the beach in beautiful Wailea, south Maui. With incredibly detailed resort grounds and a long list of luxurious amenities, this is the perfect place to relax and enjoy your dream vacation. When staying at the Polo Beach Club, you'll never miss out on the postcard perfect views and all of the islands incredible beauty. With an ocean front walkway that begins right at the resort and flows through magnificent water features, tropical gardens with Spotted Doves flying around and the prestigious resorts of Wailea, there is much to do without even leaving the area. The Polo Beach Club features a an ocean front swimming pool, Jacuzzi, barbeque area with gas grills and an outdoor pavilion. With its year-round sunny climate, Wailea and the south Maui area is the perfect choice for those seeking tropical living and luxury Maui real estate. This area offers direct access to world-class beaches, daily island tours, championship golf resorts, tennis clubs and incredible surrounding views of the nearby mountains, the dramatic coastline and islands of Molokini, Kahoolawe and Lanai. A short walk will take you to the Shops of Wailea, where you will find an incredible open air shopping experience complete with fine dining and a diverse display of retailers and daily/nightly entertainment. The Polo Beach Luxury Condos are Located between the Grand Champions Condominiums and Palauea Beach at 4400 Makena Road Kihei, Maui Hawaii 96753.